One of them is a dessert lasagna with cherries and cream cheese … sounds wonderful, doesn’t it? 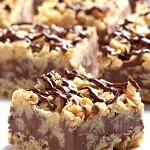 A quick reminder for you, if you love No-Bake desserts, don’t forget to check out my no bake banana split dessert too. I’m opening cherry season under the slogan “I’m Lovin’ It”. In my old diary, which has, by the way, become a mess, there are plenty of recipes copied from an old handwritten cookbook. 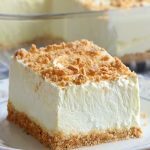 A large number of recipes I’ve tried so far and we have all been pleased with them, but there are still a lot of them that I did not get to try. 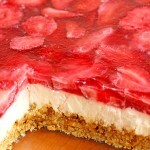 There are a lot of recipes with fruits and when air temperature is rising, my favorite ones are with seasonal fruits. One of these recipes is the one that I am publishing today. Cherries are so tasty and juicy, aren’t they? 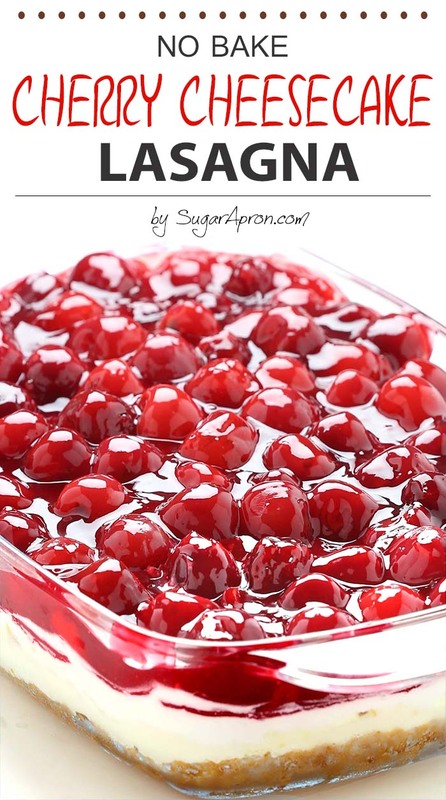 No Bake Cherry Cheesecake Lasagna - dessert lasagna with graham cracker crust, cream cheese filling, pecans and cherry pie topping. In a medium bowl, cream together the cream cheese, 2 tbsp of milk, and the powdered sugar until blended and smooth. Top with a layer chopped pecans. Mix the whipped cream, icing sugar and vanilla in a medium bowl and spread over the pecans. Pour the cherry pie filling over the whipped cream layer and spread evenly. My mother made this in the early 60’s but used dream whip w/cream cheese. 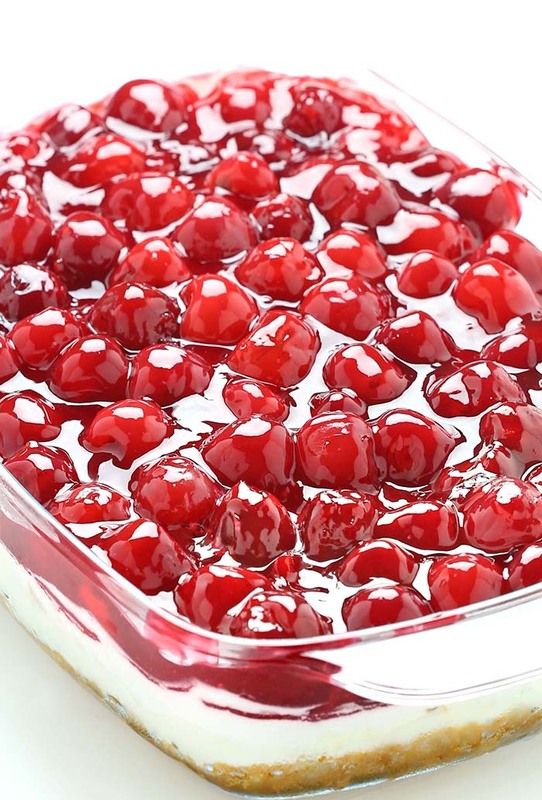 Called “Cherry Cheese Cake”. Moms been deceased for four years now. This sounds devine! I really enjoy a good cherry cheesecake! Thank you for sharing! 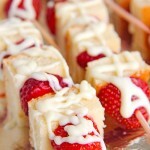 This would be heavenly with blueberry pie filling! I make Blueberry Cheesecake from a recipe off a Keebler Graham Cracker Crust, using cream cheese, sweetened condensed milk, lemon juice, vanilla & blueberry pie filling. I do NOT use off brands! Heaven in a pie crust! Would you mind sharing this recipe with me? We love this! My son has a nut allergy so we add a crunchy layer of mini chocolate chips instead of the pecans. Delicious!